Tamil Nadu, the land of Tamils is one among the most important states of India. 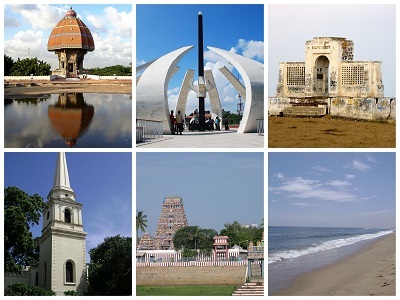 Located in the southernmost part of Indian Peninsula, Tamil Nadu is a proud home to numerous celebrated tourist attractions that can well be categorized into UNESCO World Heritage Sites, Wildlife Sanctuaries, Hill Stations, Mosques, Temples, Beaches, Churches, Waterfalls, and National Parks and so on. No wonder that the Tamil Nadu's tourism industry is esteemed as the second most prominent industry in the country with a whopping rate of growth. 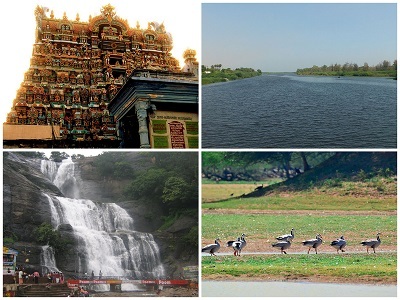 Let's find out the Top 10 Must-Visit Places of Tamil Nadu. 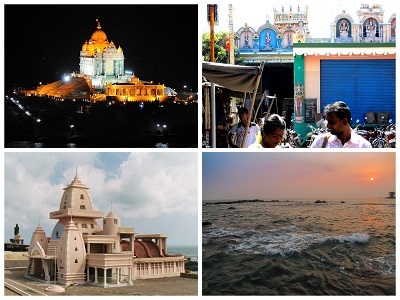 One of the most celebrated metropolises in the country, Chennai needs no introduction. The capital city of the state, Chennai is a unique urban center where age-old tradition and contemporaneity exist together. Popularly referred as the Gateway of South India, Chennai is regarded as the most visited city in India (by international tourists) outstripping Mumbai and New Delhi. Lovingly called as Kovai, Coimbatore is the second largest urban center in the southern state of Tamil Nadu. With its plethora of textile, educational, healthcare, commercial and engineering endeavors, Coimbatore is the fourth most important metropolis in South India. 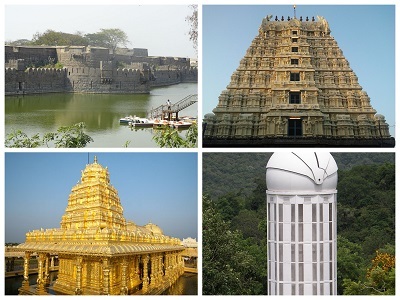 The region is home to a wide range of illustrious tourist attractions like historic temples, museums, parks and so on that attract thousands of visitors throughout the year, irrespective of the seasons. 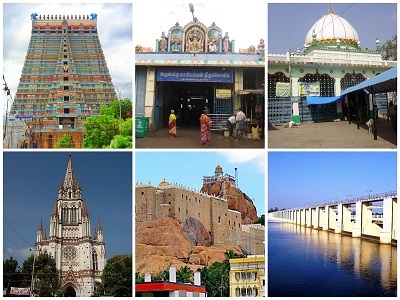 Fondly called as 'Tucker Trichy' by the local population, Tiruchirappalli is a land of antique religious sites and memorials that stand tall even today, reflecting its rich historic past. From the Srirangam Sri Ranganathaswamy temple, world's largest functioning temple complex to Rock Fort Ucchi Pillayar Temple, one of the oldest shapes in the world, Trichy is certain to offer a never-before experience to visitors. 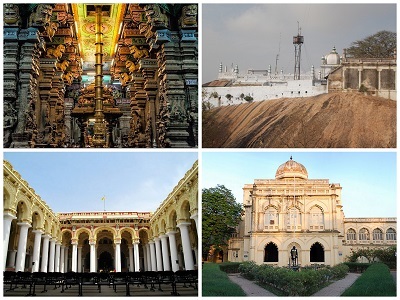 Popularly called as 'Athens of the East', Madurai is one among the oldest cities of Tamil Nadu. 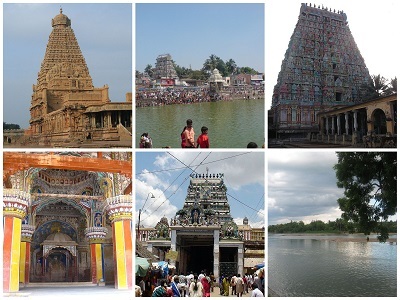 With its long list of religious sites, Madurai assures a historic and geographic expedition to visitors. Proudly referred as the 'City of Temples', Madurai is regarded as one of the most visited religious hub of South India that endure as a cogent evidence for the magnificence of Dravidian Architecture. However, Madurai is not just about temples, but the region is a home of never ending list of attractions that receives visitors from all over the world. A splendid pilgrimage center by nature, Kanchipuram is widely referred as the ‘City of Thousand Temples'. Located just 72 km away the state capital Chennai, Kanchipuram is remarked as one of the seven Indian cities to reach final attainment (according to the Hindu theological system). 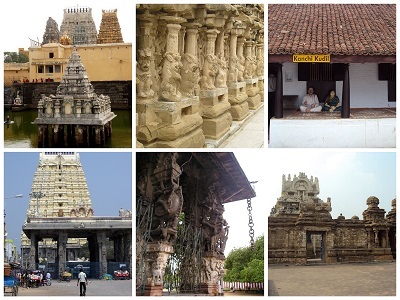 The city does not stop with religious sites, Kanchipuram also houses a wide variety of attractions from heritage sites to beaches, ashrams to ancestral homes, memorials to wildlife parks - Kanchipuram is truly a tourist paradise. The southernmost tip of mainland India, Kanyakumari is a dream destination for all types of visitors! Kanyakumari is all about exquisite beaches, historic temples, beautiful rivers, illustrious monuments and meandering streamlets. The Sunrise and Sunset of Kanyakumari are world famous that it receives thousands of visitors throughout the year. 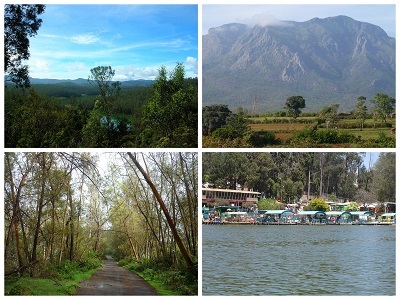 Fondly called as Neelagiri or Udagamandalam, Nilgiris is the home of a lot of far-famed hill stations of South India. Tourists from all over the world throng Nilgiris during the summer for its ceaseless list of hill stations and for the Nilgiri Mountain Train journey. Popularly referred as the Toy Train, the Nilgiri Mountain Train journey offers splendid panoramas of the hills and woodlands. With greenery all over, especially tea estates, combined with the coolest weather in the state, Nilgiris is a truly a heaven on earth! Otherwise known as Tanjore, Thanjavur is popularly called as the 'Rice Bowl of Tamil Nadu’. The historic city of Thanjavur is long-familiar throughout the world for being the proud home of the Sri Brahadeeswarar Temple (10th century Chola Temple) that receives visitors from all over the globe for its glorious Chola architecture. Often cited as the 'Fort City', Vellore is located in the northeastern part of Tamil Nadu. Vellore is a historic city that has been under the reign of various rulers including Pallavas, Cholas, Carnatic Kingdom and the British. Affectionately addressed as Nellai, Tirunelveli is a booming urban centre of Tamil Nadu. 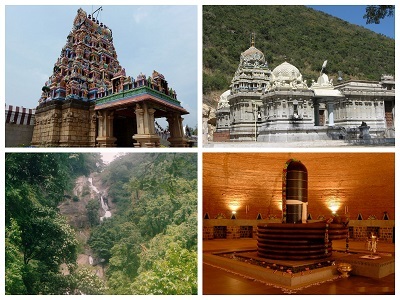 Tirunelveli is so unique that it is the only region in all of South India to feature all the five types of geographical characteristics - mountain, forest, seashore, desert and fertile land.